Furry friend owning humans this app is made for you! 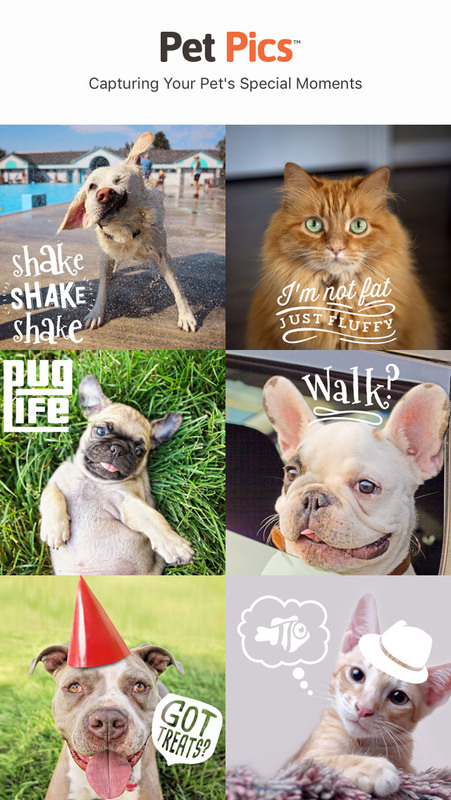 Capture your pet’s special moments by marking photos with paw-somely crafted artwork & personalized text. Share & treasure forever! 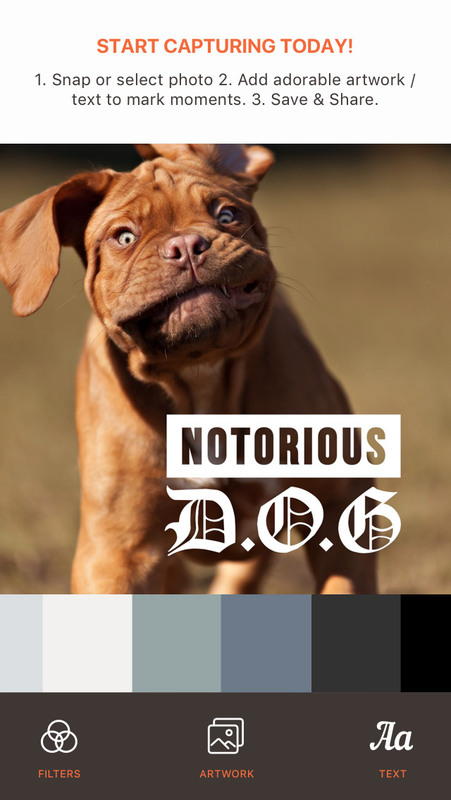 Capture photos of your 4 legged pals milestones, mischievous moments, play time or family fun. We guarantee you’ll be smiling after the first pic you create! © Burleigh Labs Ptd Ltd, 2015. All rights reserved. 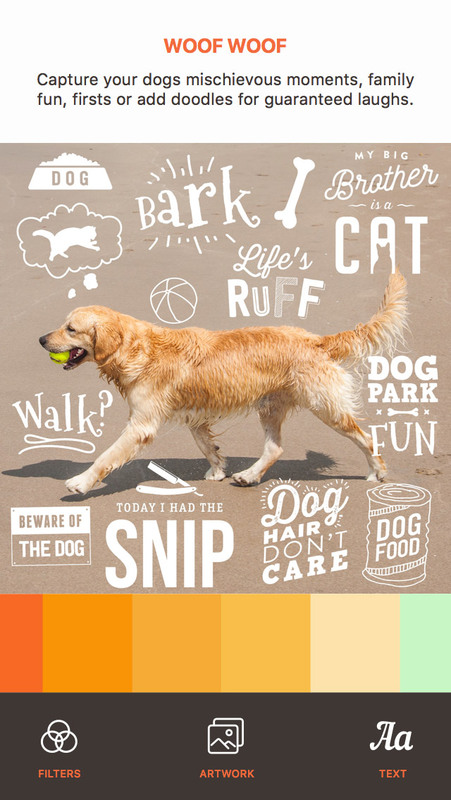 400+ paw-somely crafted artwork overlays to mark your pet's exciting milestones & special moments. Add sentimental text to personalize. 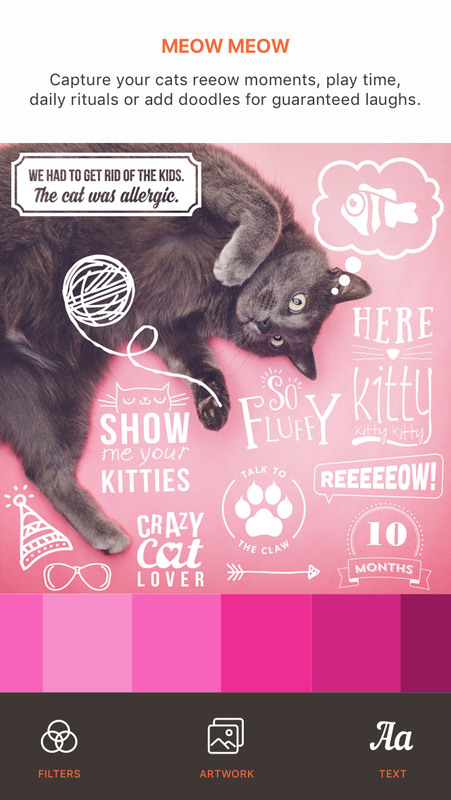 Select from our adorable typography to write pet's name, measurements, dates & quirks. 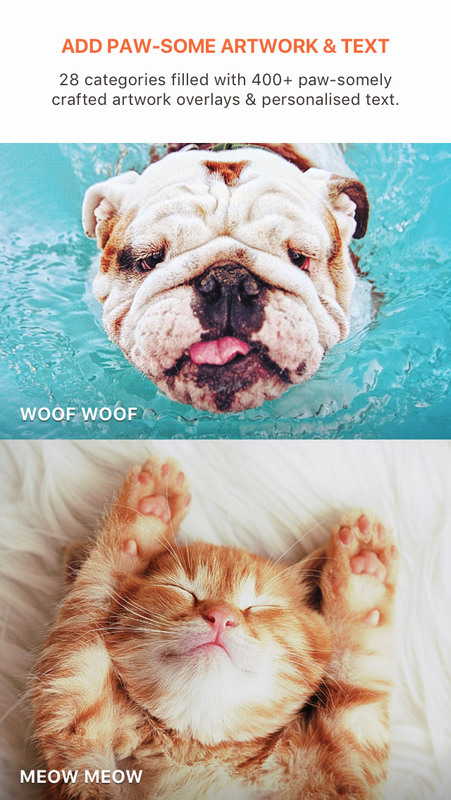 Designed to make capturing your Pet Pics fun and easy. A simple 4 step process. Share your precious Pet Pics with friends and family in seconds via social media, text or email. Turn special 4 legged moments into lasting memories. Capture photos of your 4 legged pals milestones today.